One of the best things about peppers is that they are inherently hollow, and just begging to be stuffed with stuff. Growing up with an Italian mom, we had stuffed bell peppers a lot. They were a throwback from the Great Depression, when her mom would feed a family of 12 on anything she could get. She would stuff them with a mixture of ground meat and rice, and cook them in a thin tomato sauce. The peppers were kind of bitter, but the stuffing was really tasty, and we would get yelled at for just fishing the stuffing out of the pot. Fast forward about 50 years, and I have discovered the joys of stuffing peppers. Ironically, the only one I don’t stuff are bells. I stuff hot banana peppers with Italian sausage, and poblano peppers with cheese to make chili rellenos. 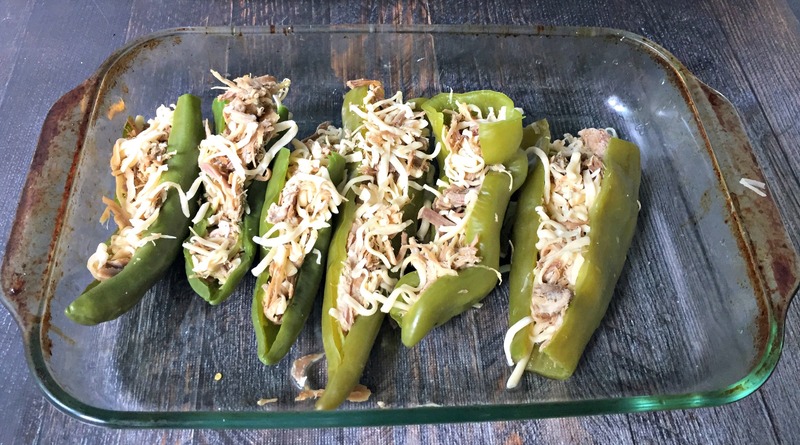 I also plant a bunch of Anaheim peppers to stuff with any leftovers like chicken and shredding pork from other Denise recipes. Imagine my surprise when I found a bag full of hatch chilies from Trader Joe’s smack in the middle of my pepper season. I was a bit miffed, but she said she had “read” that they were better flavor than my Anaheims, and that she was using them in one of her recipes. When she was done, I had 3-4 of them left and decided to do a little comparing with some of my home-grown Anaheims. The hatch peppers were much bigger, had thicker walls and were a much lighter in color. Both have a tough skin, requiring either roasting to peel it, or blanching to make it a bit softer. I chose to blanch so that I could quickly whip up some lunch. I cut the tops off and cleaned them of the ribs and seeds, then plopped them into boiling water for 8 minutes, followed by an ice water bath. I then split them length-wise along one side for easy stuffing. 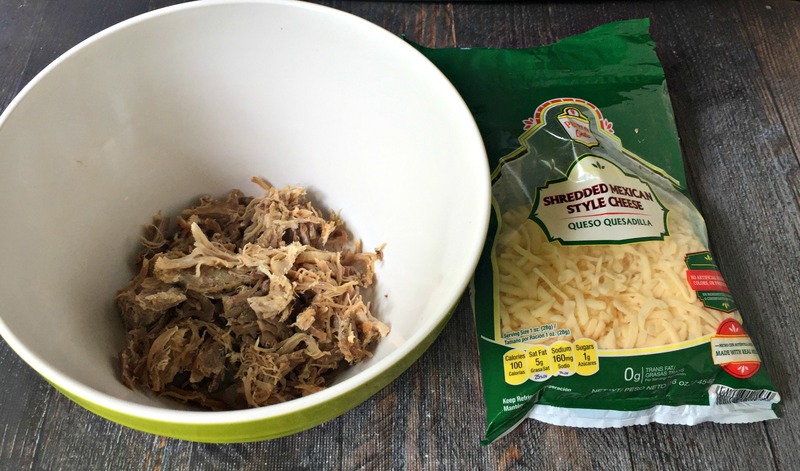 Denise had some left over shredded pork in the fridge, so I mixed in an equal amount of shredded cheese. I stuffed the six peppers with as much as would fit, then baked them at 350 degF for about 15 minutes. I garnished the peppers with some of my canned salsa, and pickled jalapenos. So which pepper won? 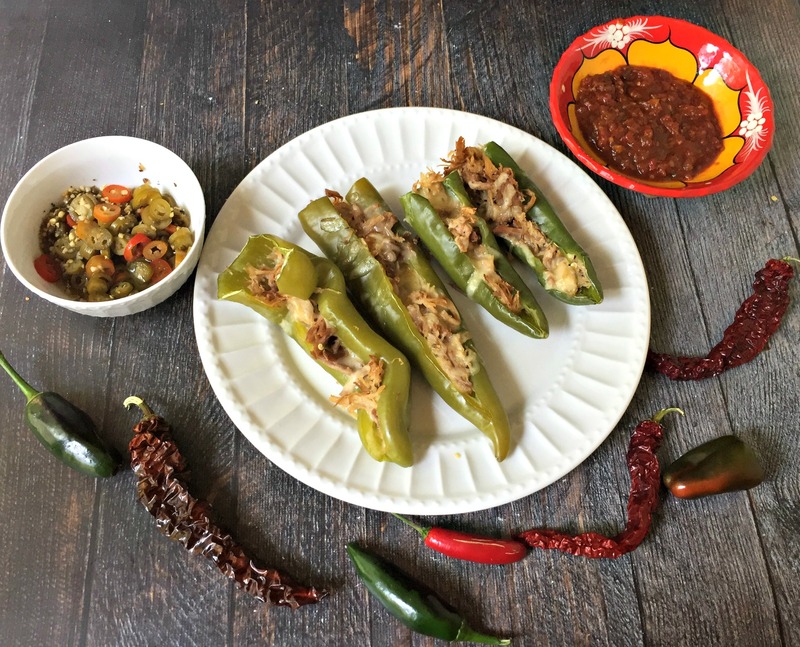 Neither pepper is very hot, so the pickled jalapenos were a good addition. The hatch is thicker, so it held up better to the stuffing, but it was also kind of watery-tasting, like a bell pepper. Personally, I like the taste of the Anaheim better, and that’s what carried the day. Let’s check the Tale of the Tape. Overall, this was a very good lunch, and it got rid of some leftovers. 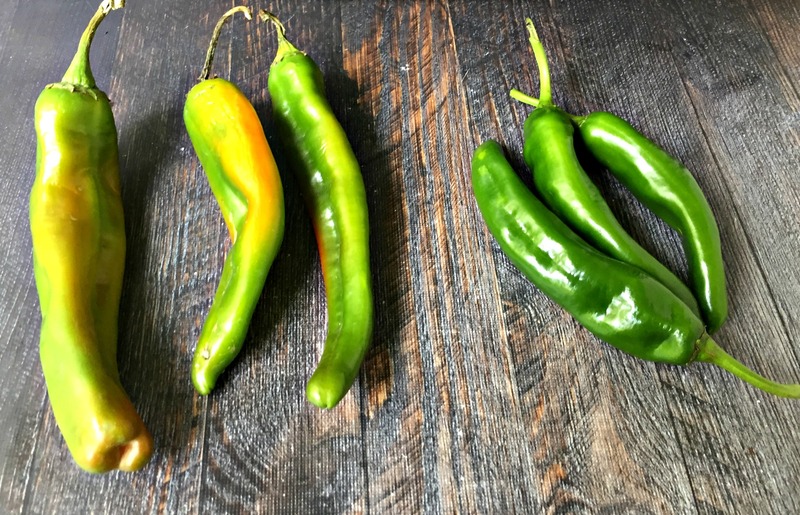 So if you grow either of these peppers, they will serve you well. If you don’t, then go to a better grocery store to get them, or to a niche place like Trader Joe’s.